Also known as "triggered," "automated" or "automatic," "real-time", and sometimes "personalized," at its core, transactional emails depend upon an action taken by us as a user, whether acknowledged or not. Again, the list above just scratches the surface of the many types of transactional emails out there. By taking a look at Experian’s Transactional Email Report, you'll quickly notice that the overall engagement of transactional emails as compared to bulk email averages. And as you can see in the Experian chart below, transactional emails produce as much as 6x the revenue per email. An October 2014 survey of US marketers conducted by Infogroup showed that nearly a third (32.7%) of companies already used triggered emails. Opportunity Alert: That means that almost 2/3 (67.3%) are not! So, if there was ever a chance to get a jump on your competitors the time is now. If you’re struggling to get good email campaign engagement results with your current mass email marketing strategy, implementing a transactional email strategy can organically increase your open rates by 65% and click-through rates by 148%. Since these types of emails are often the most frequent point of contact with a customer, it’s important to align these email designs visually with your brand style guide. Consistency is key when it comes to the customer’s brand experience across all their interactions. 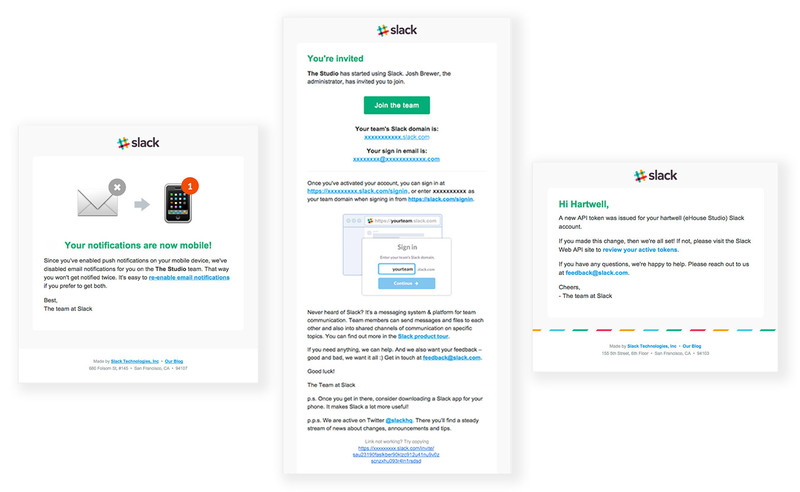 The Slack team has done an excellent job with brand consistency and not only across emails but app and website as well. 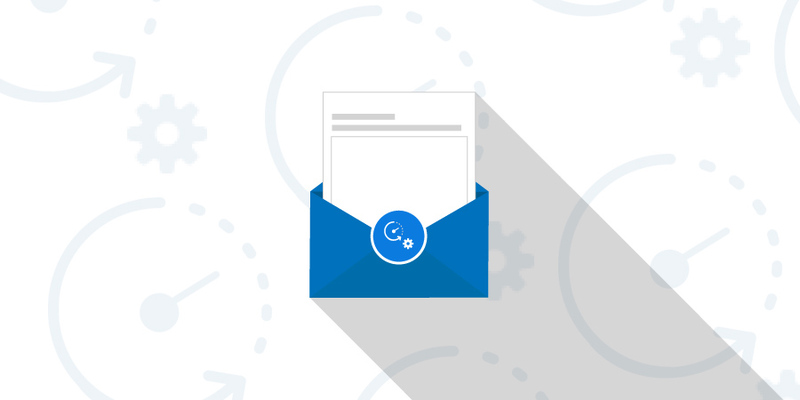 The foundation of a transactional email is built on communicating valuable information concisely. Keep in mind that transactional emails are expected to be brief but comprehensive. While emails in the form of plain text can be comprehensive and are often easily generated by content management systems, it’s unlikely your message will communicate the brand's experience effectively. As you can see in the Gather Content email below, the message is brief and comprehensive, but the brand experience was lost. Transactional emails should at the very least contain important and valuable information. Don’t forget, these are not marketing emails, the message should be focused and communicate accurate information concisely. Personally, if I struggle to read your email on my mobile device, it's getting deleted. Like Litmus mentioned in a recap of their 8-second challenge webinar, the human attention span in 2015 is down to just eight seconds, including mine. 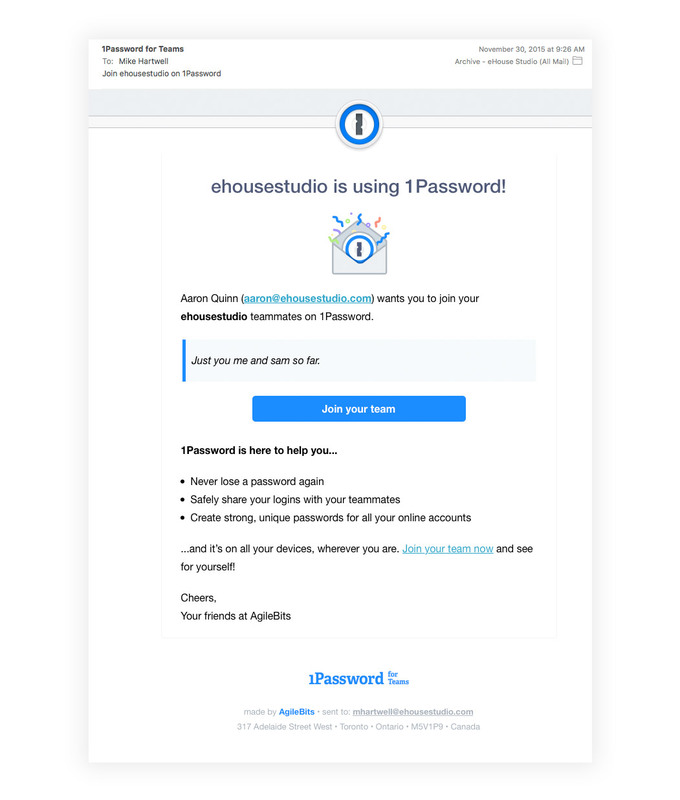 1Password has done a fabulous job in the email below creating a visual hierarchy with typography. As the reader, with a brief scan on a mobile device, I'm able to digest the primary messaging and triage as necessary. As a rule of thumb, make sure your branding is displayed prominently to establish a trusted source, as it's always a good idea to represent your brand’s style, whether it's marketing or transactional email. A branded experience, along with a clear subject line, can immediately establish context and expectations of what the customer is about to the read. 1Password executes this perfectly. You’ll notice the subject tells us, the reader, exactly what to expect. Then does an excellent job of including the branding with the familiar app icon in the header and logo in the footer. To engage our customers, we as marketers, instinctually want to provide them with plenty of options. But with transactional emails your message should be particular, to result in focused engagement. Because as the additional presence of unmet demands (calls to action) increase, so does the level of effort required to process the alternatives. So, if the kitchen sink isn’t needed to communicate your message, don't include it. 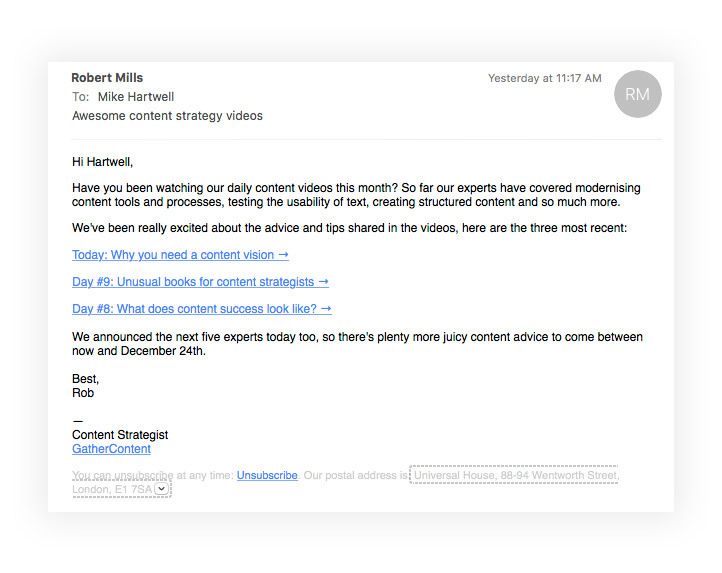 Don't forget: transactional emails are not marketing emails, but a little marketing is alright. As you can see in the Trello example email. The designers at Trello reinforces the brand and includes value added content to download the mobile app. Hicks' Law states "The time it takes to make a decision increases as the number of alternatives increases." 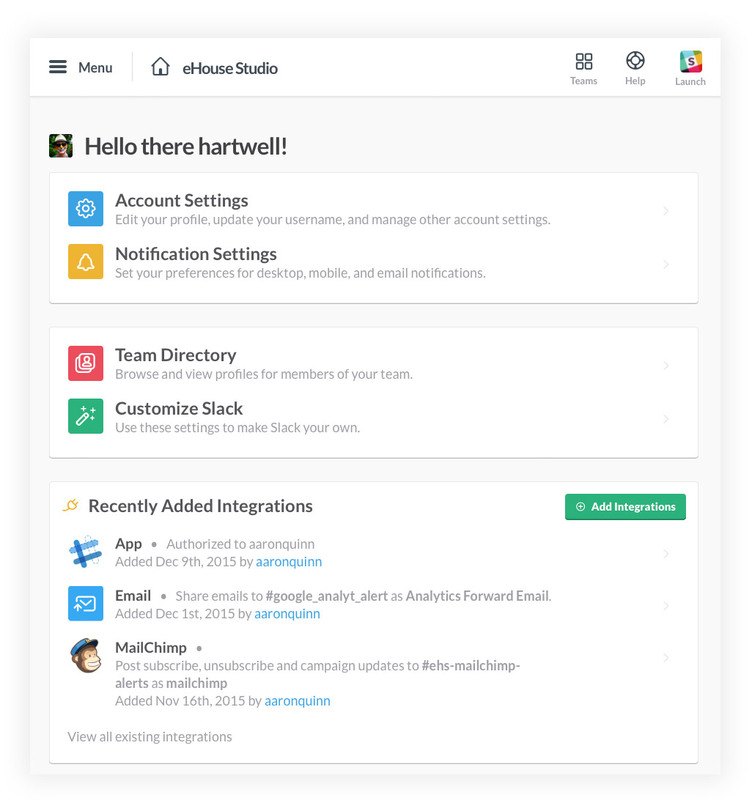 The new Basecamp 3 platform does a stellar job supporting the user experience by simplifying the login process with a triggered email. No need to remember your password this time if you can access your email. With just a few clicks you’ll be logged in via email. It’s time to connect with your prospects and customers in a way that communicates effectively, builds trust and drives revenue growth. 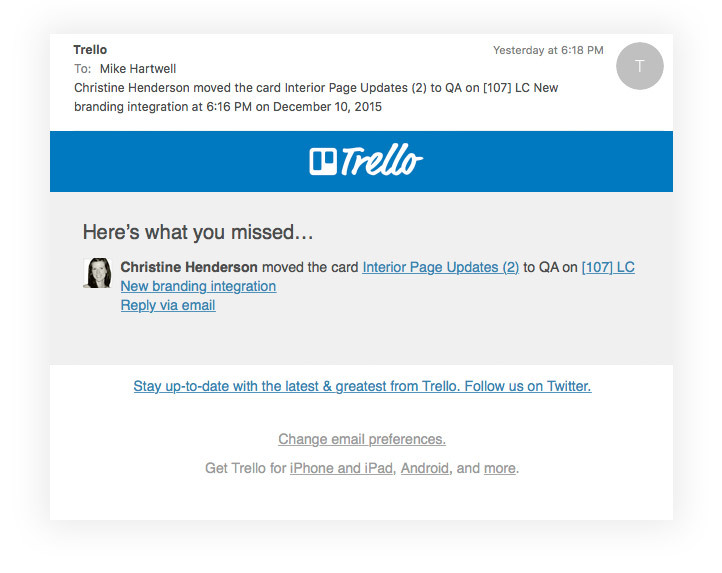 This is the first blog post in a series to come about the benefits of transactional emails. Be sure to subscribe to our newsletter to receive more articles like this in your inbox. If you are not leveraging automated email opportunities, we can help. Let’s talk.